In the project “Silk & Beauties” I would like to introduce the incredibly beautiful Lady who can be considered an icon of style. Sarit Ashurov, Toronto, Canada. She is a lucky woman because she managed to combine a happy motherhood (Sarit has 2 young sons), work and hobbies. 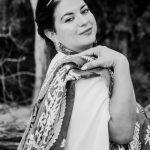 Sarit is an executive assistant, entrepreneur, beauty passionista. She loves beauty and skin care, passionate about making women more beautiful and confident. 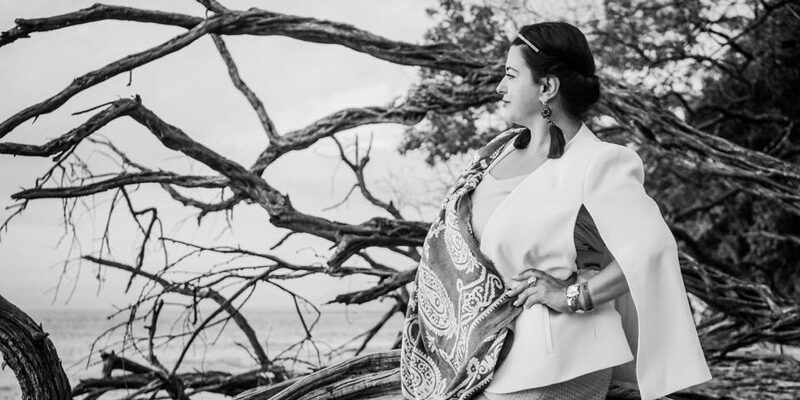 What does a silk scarf mean for Sarit? Silk scarf for her represents heritage of the motherland (Azerbaijan), beauty and uniqueness of Azeri culture, memories of her wonderful childhood, her Grandmothers collection of Kelagayi, gorgeous and lovely accessory. Sarit’s choice is Banovsheyi silk scarf (Kelagayi) from Azerbaijan Kelagayi Collection.